The relationship between brands and CEOs is precarious at best. While having the chief executive of a corporation as the chief guardian and ambassador of the brand allows a very holistic treatment of the brand at a very strategic level, it can also constrain the brand in its interactions with external stakeholders. Apple and Steve Jobs exemplifed such a relationship. Steve Jobs represented the spirit, the vision and the promise of the Apple brand. Through his visionary products, inspiring leadership and iconic histrionics, he made Apple one of the most successful brands in the global brandscape. However, Apple has come to be associated solely with Steve Jobs so much that when he finally resigned, Apple’s stock lost 7% of its market value, and with the demise of Jobs, Apple has indeed entered a new era in its corporate life. While all too often the upsides of a charismatic CEO who can seamlessly convey his/her vision to multiple stakeholders seem very obvious, the probable downsides of any brand being overly associated with an individual are often overlooked. As iconic brands are as much a result of charismatic, visionary leaders, they are also a result of carefully created and nurtured corporate culture that can sustain itself beyond an individual. The hyper competitive markets created in the current day flattening world impose hitherto unheard of challenges to even the best of global brands. Along with shortening product life cycles, constant and disruptive innovation ushering in newer products, reverse innovation from emerging economy firms constantly threatening the market leadership of Western brands and the increasingly empowered customers who have enormous options to easily switch between brands have all together made attaining and maintaining competitive advantage ever so more difficult for global brands. These challenges make it even more important that the relationship between iconic brands and their iconic CEOs is well understood both in terms of the strategic advantages they confer and the inherent costs they impose. As such, CEOs, corporate directors and top executives should clearly understand the dual nature of CEO as the chief brand ambassador in order to leverage the inherent benefits but also to minimize the potential detrimental effects of over association of the brand with the CEO. This article offers guidelines toward such an objective. Having the CEO as the chief internal champion of the brand has proved to be a double edged sword for global brands. 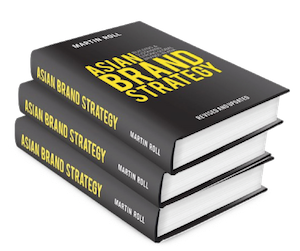 Given the critical strategic decisions that impact brands, having the CEO guiding the brand is indeed strategically very advantageous. During the formative years of Apple, it not only had to compete against the market leader, Microsoft, to gain market acceptance and the initial customer base, but it also had to establish a distinct market positioning that would lay the foundation for an enduring brand identity. During these early years, Steve Jobs, the CEO of Apple was instrumental in the brand narrative. Steve Jobs was also instrumental in defining the strategic scope of the brand, its defining value proposition and the underlying brand values. However, a sole representative of the brand to the external stakeholders can be detrimental in cases of transformational changes. So powerful have their associations been with the brands they have lead that any separation of the CEO from the brand has proven detrimental to the brand equity. Given such a dual nature of having the CEO as the chief brand ambassador, companies should be very cautious in their approach to have their flagship brands led. As much as Steve Jobs came to represent Apple and vice versa, such strong associations might not necessarily be the best strategic thing that can happen to a brand in the long run. Brands should be able to break away from the products and the leaders to achieve their own standing. As such, companies would do well to have their CEOs lead the brands during the initial stages when the brands are being built, wherein strong leadership and single representation may be more crucial. The relationship between Apple and Steve Jobs illustrates an important aspect of the brand-CEO interaction. Every time Steve Jobs announced he was stepping away due to his health reasons, eventually stepping down as the long-time CEO, and ultimately his demise recently, the external stakeholders have reacted negatively ranging from expression of shock and concern for the brands to outright devaluation of the Apple stock. Although the necessity of unity of command at the top is crucial for brands as they are being built, especially to strategize and build a resonating brand culture that can stand the test of time and geography, its importance gradually recedes as the company enters the brand expansion phase. More so, global iconic brands should actively seek to broaden their brand champions beyond their CEOs, especially as they seek to transition from the birth phase to the growth phase. With more brands in the corporate brand portfolio, newer markets, broader scale and scope, brands are well served by a team of top executives serving as brand ambassadors. In the case of Apple, although Tim Cook who became the new CEO of Apple has worked for years with Steve Jobs in nurturing and growing the brand, Apple failed to effectively communicate the shared responsibility at the top to external stakeholders. Such a shared responsibility of representing the brand internally to employees and externally to multiple stakeholders with other top executives not only lends credibility to the top leadership’s relationship with the brand but also enables smoother transitions in the face of transformational changes such as CEO succession, product launches, international market entry and intense brand competition. Given these, global brands should strategically expand their set of brand ambassadors to include other senior leaders, and more importantly, be aggressive in conveying such moves to external stakeholders in order to minimize any detrimental effects. Furthermore, such a strategy becomes extremely important as the brands aggressively pursue growth and the brand portfolio gets bigger and the strategic scope larger. One of the most important influences of the CEO on a company is his/her involvement in the creation of a corporate culture. For example, Apple’s culture of exploring new technologies, creating transformational changes in industries ranging from digital music, and telecommunications to online entertainment is rooted in the underlying culture of Apple that endorses risk taking, entrepreneurial spirit, and creativity over entrenched routines. Much of such a culture can be traced back to Steve Job’s ideals and vision for Apple when he co-founded the company in the mid-1970s. Starting in his parent’s garage with this friend Steve Wozniak, Steve Jobs envisioned Apple to be a brand the represented free spirit where innovation and ideas thrived over bureaucracy, escalation to commitment, and corporate entrenchment. Corporate cultures are a credible source of sustainable competitive advantage because they are a result of elaborate underlying processes that are extremely hard for competitors to imitate. As such one of the biggest blows a brand endures when the CEO leaves is the possibility of the erosion of such a corporate culture. A key component of winning global brands therefore should be to institute procedures and routines that can extract the implicit knowledge in such cultural practices via collective learning and knowledge sharing. Such an initiative becomes critical for the continuance of any cultural component in the corporate setting. CEOs and corporate directors should create internal systems where other top leaders are involved in both the design and implementation of strategies, where collective knowledge from bottom up should lead to cultural practices instead of mere top down, imposed practices. When such practices are effectively implemented, corporate cultures can be successfully institutionalized in such a way that it is tied to the overall corporation more than any one individual. No other major global brand has come to be associated with its CEO as much as Apple has with Steve Jobs. Right since its inception in the mid-1970s when Apple was founded till 2011 when Steve Jobs passed away, the brand was a manifestation of the values and vision of its CEO. Given such a close association, it is only natural that stakeholders are questioning the long term viability of Apple sans Jobs. However, the iconicity of Apple has transcended the stature of its founder and its products to such an extent that Apple can sustain itself successfully in the coming years. It is very important for the current CEO Tim Cook and his team of top executives to continually invest in nurturing the underlying brand values and to consistently deliver on the unique brand promise of Apple.